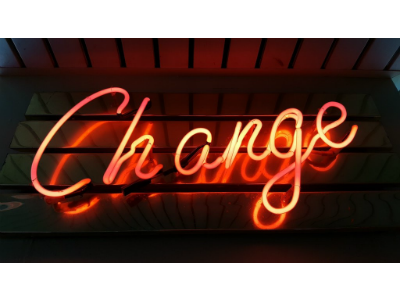 Recent changes to Google Grants and to Facebook’s Newsfeed algorithm has brought to light the need to keep on top of these changes – as well as the inevitable changes that will happen across other platforms. But that’s made even more difficult when the platforms make regular changes to their algorithm and policies, meaning competing on digital is becoming harder for many charities. At the recent event on digital changes, CharityComms brought together a group of digital practitioners from a range of charities to take a look at what changes have taken place recently, what changes may well be coming up, and how best to prepare for changes that might crop up in the future. Here’s the advice our experts gave for dealing with digital changes. Some corporates are panicking about the changes that are going on, with some shutting down their businesses as they relied too much on Facebook. These digital changes should not affect charities as much as for-profit brands. Yes, there are changes and it will affect brands. But charities are great storytellers, with brilliant content and fantastic supporter communities. Many charities are guilty of using social media and other digital channels as a dumping ground for content, even if that content is only going to appeal to a small portion of their overall fan base. As Dan Papworth Smyth, digital communications manager at Teenage Cancer Research said at the event: “We have to be the gatekeepers and only put out content that will drive engagement”. If this content is not going to drive “meaningful engagement”, then it’s not worth posting as it will affect your Newsfeed. Focus on the quality of the content. It’s much better to post less content that is engaging and people like, rather than lots of content that is less engaging. This is partly why the likes of Facebook have made their changes – they don’t want a mass of uninspiring content. But when you do find that particular pieces of content are doing well, then you should be promoting that content with some paid spend. If you need a guideline for what content should be promoted, remember this: “only promote awesome”. It’s not just about the content, but the platforms you choose as well. Rather than spreading your resources across several channels and adding a brand presence to every new social network that comes along (have you signed up your charity to Vero yet? ), you should think strategically about which platforms are the best for your charity. Ask yourself: does this channel fit with our overall strategy? If you have a Facebook Page with only a small number of fans, would it be better to start a Facebook Group to drive more interaction, as these are favoured in the Newsfeed at the moment? Or if a channel isn’t working for you, should your charity even be on there at all? A channel isn’t just a social media channel. Email and CPC continue to drive a significant proportion of traffic for not profits. Overlooking these older channels which continue to deliver in favour of something new is like throwing money down the drain. Overall, don’t be so reliant on any one channel and you’ll be more resilient to digital changes. And don’t forget, your Google Grant is equivalent to free money so investing in it makes good sense. Check out Isabel’s slides from the event on sharpening up our Google AdWords account. Members can access a video recording of her presentation too. Digital channels come with a whole host of analytics tools that allow you to see exactly what type of content is performing well – and which channels aren’t. Once you find what the good content is, use that type of content again and again. Reuse the content that is working across different channels, repurpose different types of content to fit the format that you know is working. If your audience is telling you they like a particular type of content, make more of it! The numbers don’t lie, so spend time getting to know your channel analytics and testing out different types of content to see what works best. Once you’ve looked at the data, know which platforms are working best for you, and know what type of content your audiences likes, you have all you need to make a success of your digital comms activity. Instead of being distracted by the new shiny platforms that come along, or being panicked by the changes that any one platform makes, you should now have the confidence to focus on those that matter and can deal with digital changes with relative ease.